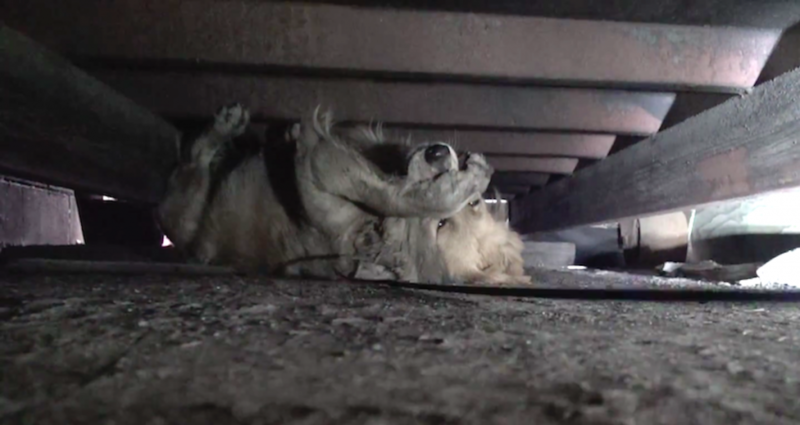 Hope For Paws received a call about a scared, homeless Golden Retriever and set out for the rescue. Noise from some passing trains frightened the dog even more, so she ran and found a place to hide. 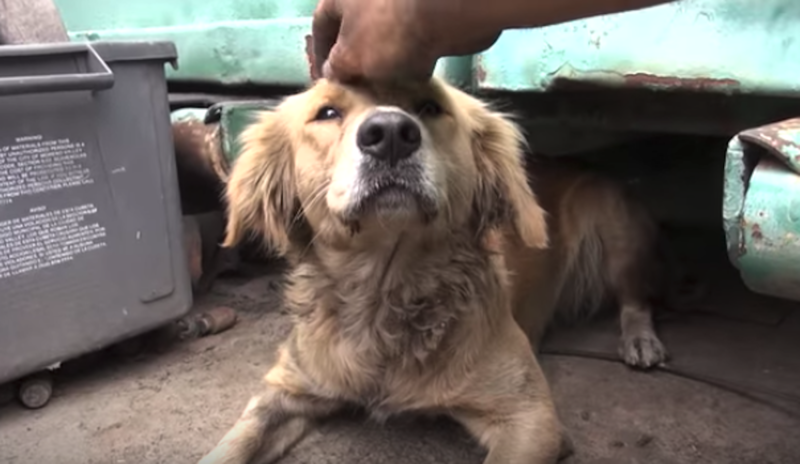 The dog was so scared when approached by the rescuers, she covered her eyes the way a terrified child would. But they would spend some time with her and let her know everything was going to be okay. After weeks of living alone in constant fear on the streets, Clarabelle was now safe!